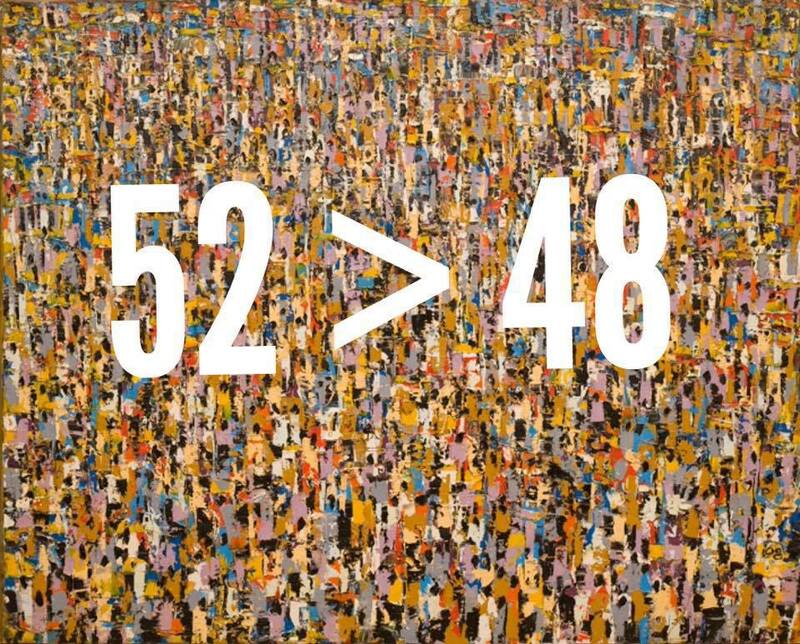 The EU referendum had a very high turnout (72%), yet the result hasn't been universally accepted as good for democracy. You might have thought that a majority of nearly 1.5 million people voting to Leave the EU in favour of parliamentary sovereignty, would be seen as a triumph for democracy. In contrast to a majority 52% who voted to the clear question of IN or OUT of the EU, we have been encouraged to reject the electorate wanting to LEAVE the EU. How can the EU referendum, organised in good faith and conducted fairly, have so many liberals petition for the will of the people to be ignored or circumvented? Probably the most dominant assertion from the parts of the RemaIN campaign who aren't accepting the vote, is the retrospective presentation of the referendum as 'advisory' rather than binding. This is quite odd given that David Cameron ensured that the referendum was added as a high profile element of the Conservative party general election campaign, albeit to thwart the rise of UKIP, and won an overall majority in Parliament partly because of it. Until the result came in and showed a majority in favour to Leave the EU, the referendum was accepted and campaigned around in good faith, so why question the legitimacy of the referendum afterwards, and how can this be done in the language of democracy? The 'advisory' character of the referendum may have a little mileage for a legalistic or technical understanding of democracy, but has little legitimacy to sustain any campaign to overturn the vote after such a high turnout. Indeed, only a low turnout would have given any credence to the 'advisory' character of the outcome. 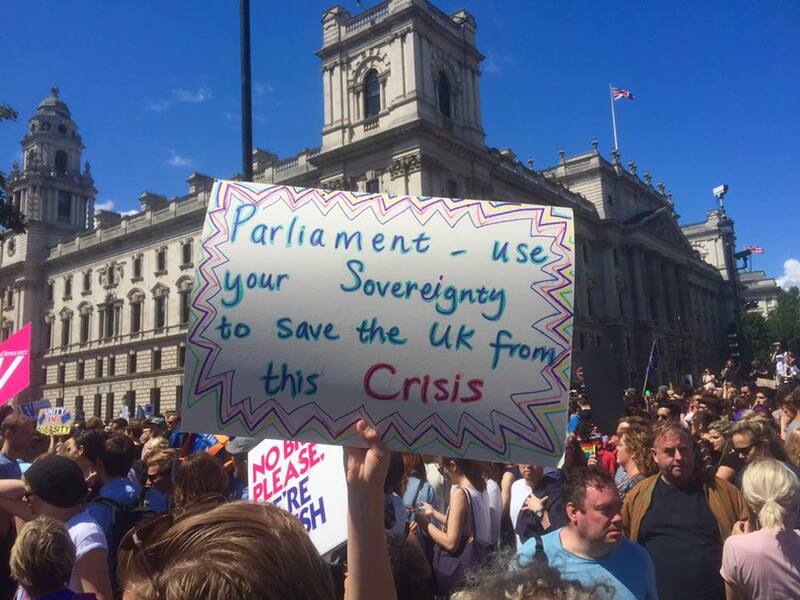 The best follow on argument is to elevate the role of Parliament and elected MPs to be the alternative demos. This is ironic given that the number 1 reason why people voted to Leave the EU was for the political accountability of UK politicians and institutions as opposed to the bureaucratic EU. Are the anti-democratic whingers really capable of sustaining an arguemnet for MPs to be sovereign and vote for them to be accountable to the EU and not Parliament? Not in my experience, but the vested interests of unaccountability are committed to overturning this election result. If the arguments to overturn the vote to Leave the EU isn't going to be overturned by technocratic arguments, then what's the strongest line of attack for anti-democrats? I think the strongest case against the democratic will of the people expressed through the referendum is to bluff out the very issue that probably swung it against the RemaIN camp, and that's the role of the experts in advising us on our 'advisory' referendums. 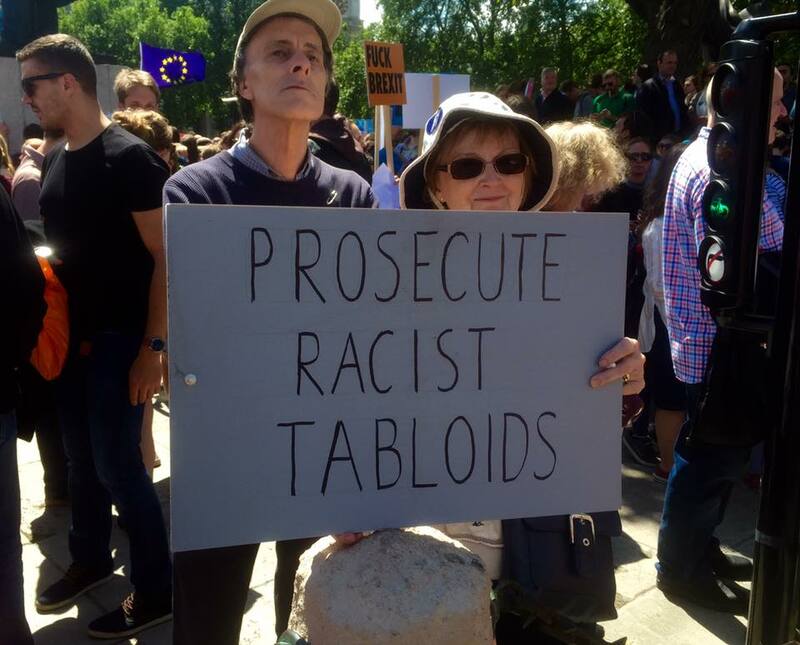 On Saturday's stroll of reaction to the referendum to Parliament Square, the more coherent comments and banners from attendees was that the electorate were conned by lies promulgated by the LeaveEU campaign. Again, it's ironic that many who castigate problem of an elitist approach in marking the 100 year anniversary of the toffs causing the slaughter at the Somme, repeat it in supporting the EU. How forceful and convincing can the 'they were conned by lies' approach be? Well something very important has happened with this vote, especially given the onslaught of establishment figures heaping unprecedented pressure across the board to vote to RemaIN, else our world implodes. As one of the strands of the campaign to Leave the EU was a public rejection of the emphasis of 'experts' or in other words, the same toffs that sent us over the tenches in the Somme, it's a high-risk strategy. Michael Gove famously said that 'people in this country have had enough of experts' and that was both true and resonated with the audience. Years of being told by experts and via the EU bureacracy where we can smoke, what the cigarette packets should look like, where cigarettes can be advertised, where we can drink, how much the minimum price of that drink should be, how much salt we can have in our food, how our food needs to be labelled, where our food outlets can be located take their toll, and this poll showed that. There is a whole swath of society though that is not accustomised to campaigning openly with the populous for their campaign focusses, and much more at home with nudging the common people into behaving differently. There are decades of experience of 'know better than you' types with a substantial infrastructure based on 'their' expertise at informing the public of the right thing to do, albeit made harder by the activities of what should be a free press. Although the snobbery embodied by this cadre of censors and interpretors was rejected in the referendum, it is still the best strategy by those with a vested interest in maintaing the unaccountable elitist club that is the EU. Our better than you types have little or no experience of arguing for a cause, and currently only have experience of using the apparatus of the state, primarily through the Press Release, to lord it over the electorate. Expect much more of that in the next few months whilst they find their feet. The drip of hourly resignations from the Labour cabinet to get the equally careerist Corbyn to resign is only the start of it. What's at stake? The democratic accountability of politics and political institutions for the electorate. Yes there are a whole host of middle people, those able to 'advise us' on what way we should vote and which 'experts' we should look up to, what being only the electorate and all. The attack line is most likely to be the role of the media, which has been under fire for a number of years, culminating most recently with the Leveson inquiry. The notion that we were lied to lends itself to support from the media who quite cynically will see that as an elevation of their role in politics way beyond the influence they actually have, and will promote quite freely. It's clearly easier to talk up the influence of the media than talk to real people who didn't vote to Leave the EU, so will sit better for the RemaIN camp not accepting the vote. What's involved for democrats though? Well, the basis of democracry rests on the notion that the electorate aren't children who need protecting but adults capable of exercising free will, based on being able to weigh political iussues up and make valued judgements. This capacity has been argued against by a whole host of media studies narratives, and at a much higher level starting with Thatcher's mantra that There Is No Alternative to market forces, codified by the defeat of the miners and collapse of the Berlin Wall, and later argued through the shells of the trade union and labour movement with their support for Tony Blair's modernisation of the Labour Party apparatus. It ended with the last gasp of Saturday's stroll that campaigned for the popular vote to the overturned and thwarted because the electorate were duped by politicians and the media. This reaction to popular sovereignty in favour of unaccountable political institutions is a profound attack on democracy and needs to be challenged, which the electorate have already set in motion with some devastating results. It would be a crying shame to waste this opportunity to assert the power of the electorate against the snobbish and degrading put me downs the media are so fond of. There are issues of economy, the shell of British political institutions, the borders that need to be opened to non-EU citizens as well as those already having the right to work in the UK, but sovereignty of the electorate is central to this. RemaIN or Leave the EU, democrats should campaign to have Article 50 invoked immediately.